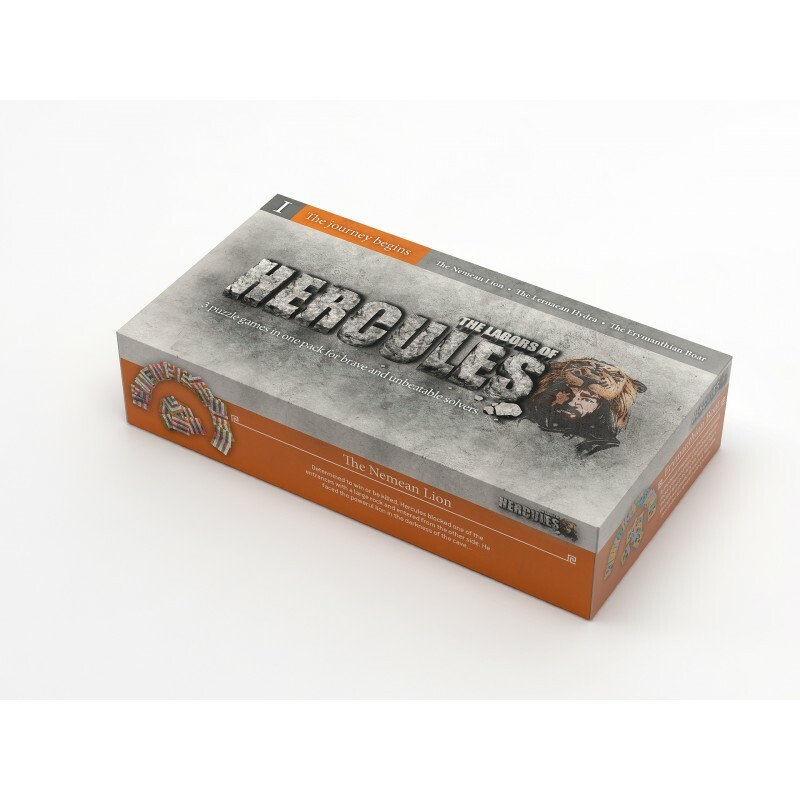 The Labors of Hercules is an extraordinary Brain Teaser offering thrilling pattern-puzzle solving experiences. Themed around the journey of the great, Greek mythology hero, Hercules, this game consists of four Collections of three Labors each. There is a progression in difficulty from one Labor to the other and from one Collection to the next. The journey begins labor introduces a puzzle consisting of 36 square tiles which must be placed in the correct order, side by side, to form a 6 by 6 square board. To reach the solution, you or your team will embark on a mental journey that will require you to perceive the puzzle's underlying patterns, which can contain logical, mathematical, geometric and cryptographic elements. 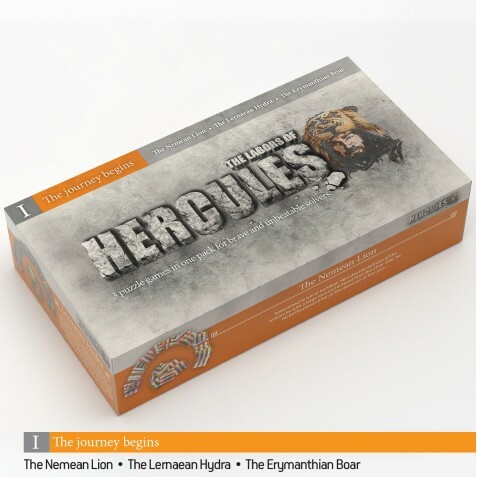 Join symbols and colors to slaughter the Nemean Lion, adjust the lines and arrows to beat the Lernaean Hydra and finish off by solving the geometry to capture the Erymanthian Boar. 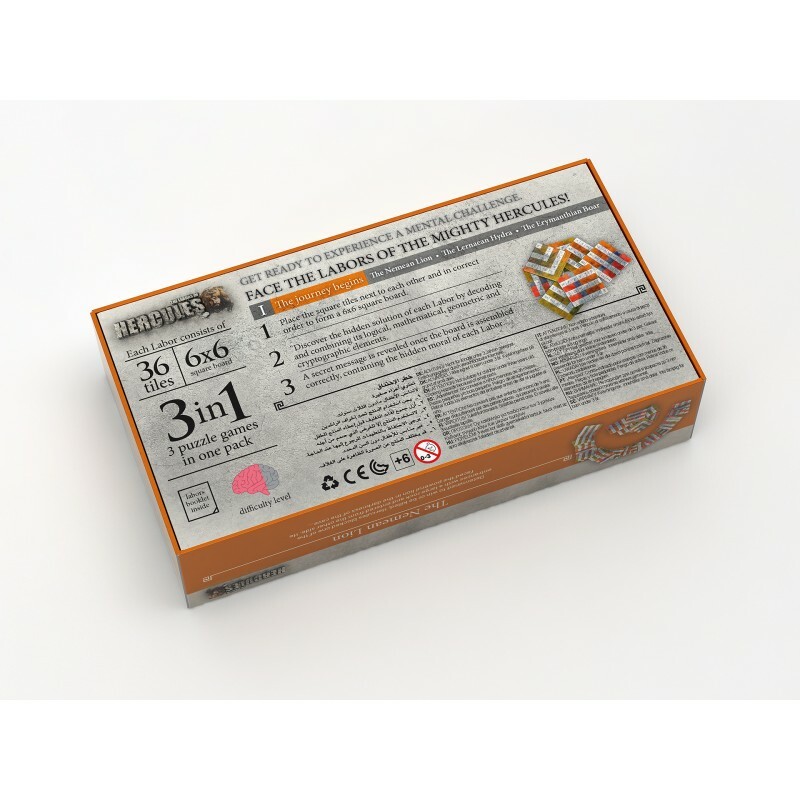 Each puzzle offers you three hints to help you discover its unique solution. Every time you feel stuck and in need of help, you can move towards the right direction by using one of those hints, which are included in the booklet. After all, even the great Hercules had help in some of his Labors! Enjoy this unique Herculean adventure and face the challenges alone or with the company of your friends and family! 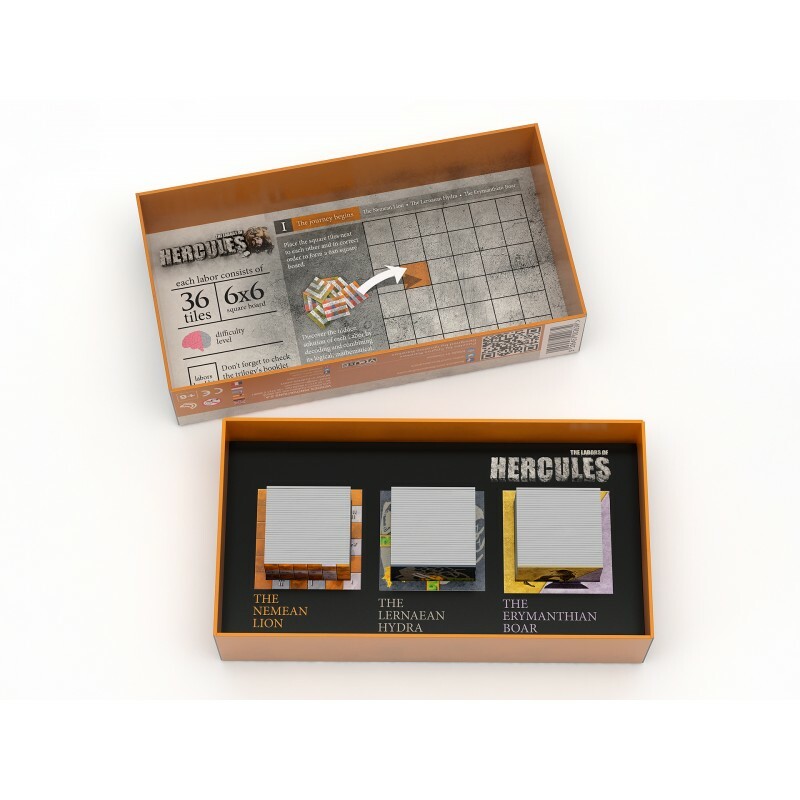 The puzzles were designed by hand and originate in the home land of Hercules.